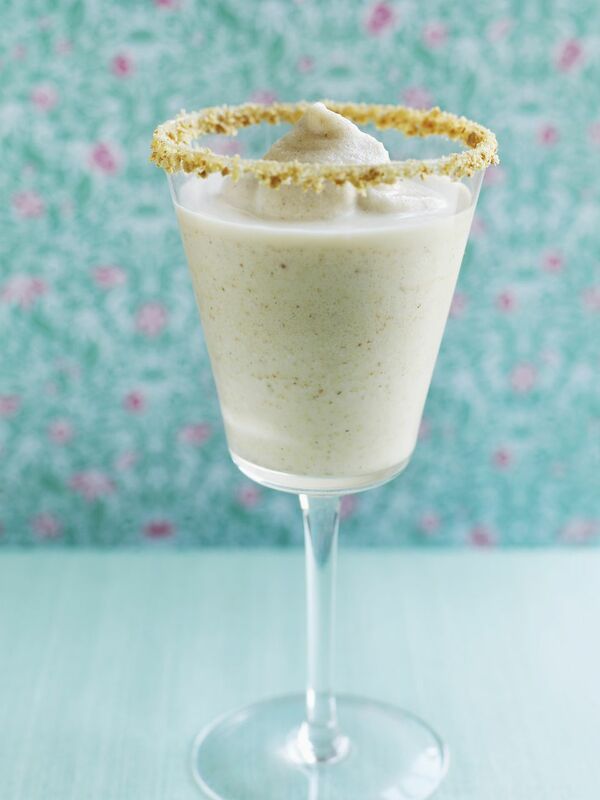 This Banana Cream Pie is just one of many cocktail recipes that take on the name that simply evokes the word 'yummy.' This one is special, though. It features one of our favorite cream liqueurs and it is unbelievably easy to create. You will need just two ingredients to create this delicious dessert cocktail. RumChata is a fantastic cream liqueur with a rum base and a few spices that make it very interesting. Then there is the banana liqueur, which is not as common, but never fails to create a fantastic, far-too-tempting cocktail. When it comes to the banana liqueur, there are a number of options. Creme de banane or banana schnapps is the most popular, and 99 Bananas, DeKuyper, Hiram Walker, Bols, and Marie Brizard are some of the brand names to look for. A well-stocked liquor store should have at least one banana option for you. To bring the drink together, all you need to do is shake and strain them. The recipe recommends a graham cracker rim, which is a very nice touch but can be skipped if you like. Also, you may want to think about serving it over ice in a snifter rather than a martini glass. Whichever glass you choose, make sure it is as cold as you can get it because temperature really makes a difference with creamy drinks like this. This recipe comes from RumChata, reprinted with permission. Rim a chilled cocktail or liqueur glass with crushed graham crackers.